As well as being offered by a variety of different online casinos, the slots games which gamblers play are also created by a selection of different software developers. 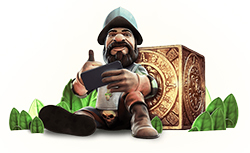 This page focuses on one of the most famous of those developers, NetEnt, and will let you know their best slots by payout percentage so you know which games offer the best deals to players. Telephone: +46 8 578 54 500. NetEnt develop and supply one of the most diverse portfolios of games of any online gaming software developer in the world. Their selection of titles includes well over 200 different games and those games can be found on well-known casino platforms such as Casumo, Betvictor, Betfair, 888Casino and many, many more. The company’s games cover all bases when it comes to online casino games but are most famous for their hundreds of different slot games (98.9-92.87% payout percentages). NetEnt’s slots titles include classic slots games, progressive jackpots and more modern video slots, which now make up the large majority of their total portfolio. Amongst those video slots, the likes of Gonzo’s Quest and Starburst are perhaps two of the company’s most popular generic titles. As popular and impressive as some of the aforementioned titles undoubtedly are, perhaps NetEnt’s most famous games of all are their Mega Fortune line of slots. Those Mega Fortune slots are hosted by many of NetEnt’s client online casinos and are triple progressive jackpot casino slot games. What that means is that the titles are linked to not one but three progressive jackpot games, with the Mega Fortune Mega Jackpot being the most lucrative. That Mega Fortune Mega Jackpot is a completely progressive jackpot pooled between all online casinos carrying linked slot titles. It is that arrangement, therefore, which allows the jackpot to sometimes grow to an astonishing size and to have an average payout of around three million euros/pounds. It’s good news for Netent slot fans when it comes to return to player percentages. The Swedish company boast the highest average payout percentages of any slot game provider, currently standing at an average of 96.51%, a healthy 0.52% higher than their closest competitors Play’n Go. The range of payout percentages on Netent slots is 92.70% at the bottom and 98.90% at the very top. Obviously it’s the top of the tree where you want to be playing because there’s a significant difference between the two (always check before spinning). The highest paying Netent slot machine, Mega Joker at 98.90%, is actually the highest of any manufacturer we can find – props Netent, we’re impressed. NetEnt describe themselves as a ‘leading provider of premium gaming solutions to the world’s most successful online casino operators’. As of 2016, the company served over 170 of the world’s most prominent online casino operators across a multitude of different countries and areas. The best demonstration of the size and scale of NetEnt within the online gambling industry, however, is the fact that in 2016 their gaming systems handled over 36 billion transactions. The answer to how NetEnt became such a goliath within the online gaming industry has a lot to do with the fact that they have been at its vanguard since the very beginning. NetEnt, after all, can trace their origins all the way back to 1996. It was in that year that one of Scandinavia’s leading land based casino operators, Cherry, made its first foray into the online gambling world. Cherry’s owner, Pontus Lindwall, had become increasingly frustrated with Sweden’s gambling legislation and so decided to explore his online alternatives. With the help of 75 million SEK (the equivalent of around 8.5 million euros today) of investment from a listed investment company named Kinnevik, the company which would become NetEnt was born. Being present at what was essentially the very beginnings of the online gambling industry allowed NetEnt to grow rapidly and they soon gained a reputation as one of the market leaders in the field. Right from the outset, the company developed and offered a wide range of software solutions, platforms and games, and in 2002 the first fully NetEnt powered online casino was launched. By 2009, just 13 years after its foundation, NetEnt had grown large enough to become listed on the Nasdaq OMQ Swedish Stock Exchange and was well-established as one of the go-to names when it came to online gambling software and platforms. The firm continues to innovate, however, and offers its clients one of the most varied and cutting-edge portfolio of games and software solutions. …all at the same time. Amongst the solutions provided by NetEnt are cutting-edge software platforms, a top portfolio of games and true multi-channel capability, meaning that NetEnt powered gambling providers can serve their customers equally well via desktop, mobile or retail locations. Part of NetEnt’s portfolio of offerings, NetEnt Live is the company’s attempt to develop what will be the ‘players’ favourite mobile live casino’. A complete range of mobile games are twinned with the company’s Chroma Key technology, which allows different casinos to implement infinite bespoke branding possibilities. NetEnt Engage, too, is an interesting offering from the Swedish company and is an innovative set of tools allowing online casinos to offer an ‘all-encompassing player experience’ to customers. 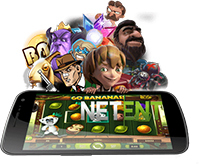 What NetEnt are most famous for, though, is their top portfolio of varied games which are hosted by many of the world’s best online casinos.